Do you have the heart of a champion? Will you do anything - and we mean ANYTHING - to get the W? 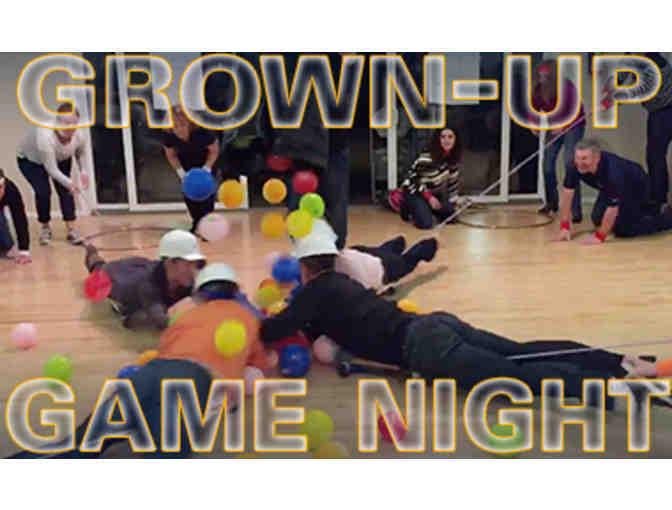 Then step on up and join us for the Grown-Up Game Night where you never know what's coming next. Using nothing but your wits and some fuzzy handcuffs, you must put your body and your dignity on the line to score points for your team. Helmets and fireball provided. Cheating encouraged. The competition to be Top Banana will be fierce (and hilarious). Win or lose, it will be a night of belly laughs and good fun. Just make sure you bring your "A" game. See you there! Your support matters, so The Las Lomitas Education Foundation would like to use your information to keep in touch about things that may matter to you. If you choose to hear from The Las Lomitas Education Foundation, we may contact you in the future about our ongoing efforts. Copyright © 2003-2019 The Las Lomitas Education Foundation and BiddingForGood, Inc. All Rights Reserved. Designated trademarks and brands are the property of their respective owners.